In this round of announcements for NorthSide 2019 is the Oscar-winning superstar producer Mark Ronson, who along with six other names adds punk, soul, electronica, pop, and dancehall to the line-up. 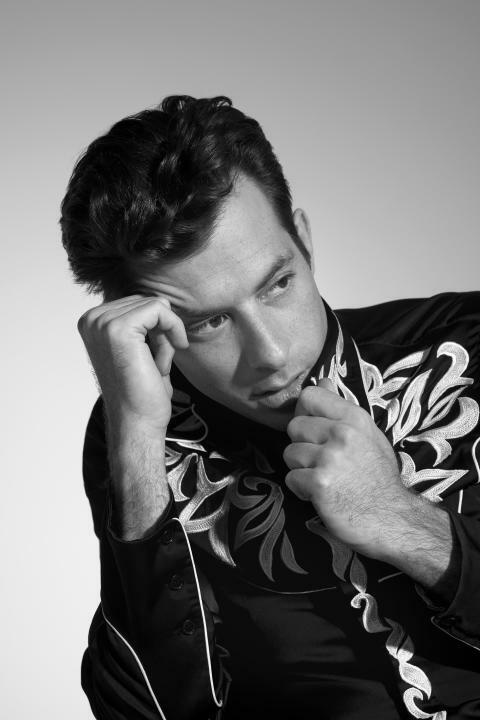 Mark Ronson is one of this century's most successful English musicians and producers. 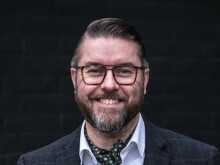 His work with Amy Winehouse on "Back to Black" made him world famous, and over the last 12 years he has had hits with Daniel Merriweather ("Stop Me"), Lily Allen ("Oh My God"), and Miley Cyrus ("Nothing Breaks Like a Heart”). The standout hit, however, is "Uptown Funk", which went to number one in a large number of countries, and today stands as one of the best-selling singles of all time. 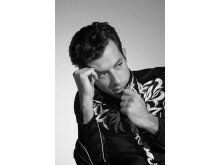 Most recently, Mark Ronson has also been successful with Diplo in the duo Silk City and with the Oscar-winning song "Shallow" from the soundtrack to "A Star is Born". Mark Ronson started his musical career as a DJ in New York more than 25 years ago, and along with being an incredibly successful musician and producer, Ronson has continued to deliver great shows where his immense love for soul, pop, hip hop, and funk is presented to perfection. The French house duo The Blaze released their debut album "Dancehall" in 2018, which should not be seen as a tribute to the Jamaican music genre, but instead a tribute to the space where people gathered to enjoy music. In Denmark, there were 5 stars from GAFFA to the debut album, and there were also praise when The Blaze played their first Danish concert last year. 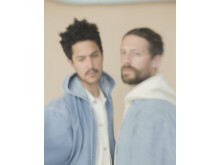 The cousins, Guillaume and Jonathan Alric, are both musicians and film directors, and therefore the duo have with great success focused on making fascinating music videos. Both the video for "Virile" and the video for "Territory" have won awards and have not surprisingly also received millions of plays on YouTube. The visual side also has a prominent place in the Frenchmen’s show, which is characterized by both depth and personality in their easily accessible house music. There has also been made space for three more really exciting international acts in this round of announcements. 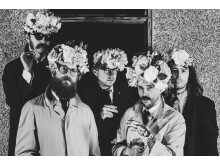 There were six stars from GAFFA, when IDLES released their second album, "Joy as an Act of Resistance," and the group also scored a nomination for Best Breakthrough Act at the Brit Awards. They are one of the most highly acclaimed rock bands in England right now and their intense concerts are the perfect place to experience front man Joe Talbot's intelligent and satirical lyrics. German singer Alice Merton has found success in Denmark with "No Roots", "Lash Out", and "Why So Serious", and of course she was also highlighted, when GAFFA gave their bid for 10 artists to look out for in 2019. The debut album "Mint" appeared in the month of January and the singer was praised by GAFFA for her unique take on pop music: "It is SO nice to hear a woman on the music scene in 2019 who dares to stand out and be edgy". The last international act is Michael Kiwanuka, who started his career with a bang. 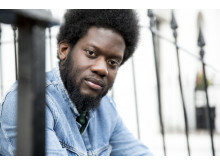 The otherwise mellow Michael Kiwanuka secured a gig as support act for Adele in 2011, giving massive exposure to the talented songwriter who finished a great year by winning the BBC's Sound of 2012 two months before he was ready to release his debut album. Both the debut, "Home Again", and "Love & Hate" achieved great hitlist success in his home country, and Kiwanuka’s profile only increased after the single "Cold Little Heart" was selected as the opening song for the popular HBO series "Big Little Lies". Michael Kiwanuka unfortunately had to cancel his concert at NorthSide in 2013. But since then he has only become a bigger and more popular name, so he is a welcome addition to the festival line-up. The last two acts are audience favorites Bikstok and the popular young duo Barselona. The latter has during the last two years had massive success on both P3 and P6 Beat with ”Hvornår”, ”Et år”, ”Alene hjem”, ”Barcelona”, ”Tættere på hende”, and ”Fra Wien til Rom”. The success, however, has also extended to the stage where Barselona last year experienced first getting five stars in GAFFA for their show at Spot Festival, and then having the show proclaimed as the second best festival show of the year by the magazine's readers. But the popular duo will get some competition to deliver this year's best show at NorthSide when Bikstok goes on stage. The trio has not only delivered one of the best ever Danish debut albums, "Over stok og sten", but Eaggermand, Pharfar, and Blæs Bukki have also repeatedly proven that they, together with their fierce live band, can kill it at every opportunity. In 2013, Bikstok started their comeback with a concert at NorthSide, and six years later they are now both ready with new music and another killer show. After today's releases, the preliminary program for NorthSide 2019 is as follows: Alice in Chains, Alice Merton, Barselona, Bikstok, The Blaze, Bon Iver, Cautious Clay, First Aid Kit, Foals, Georgia, Gnags, IDLES, Jada, Jonah Blacksmith Film Concert , Kaytranada, Khalid, Kurt Vile & The Violators, L.O.C., Lydmor, Major Lazer, Mark Ronson, Michael Kiwanuka, Migos, The Minds of 99, Nas, New Order, Peter Sommer & Tiggerne, The Streets, Suspekt, Tame Impala, and Tove Lo.